Time to try new things? 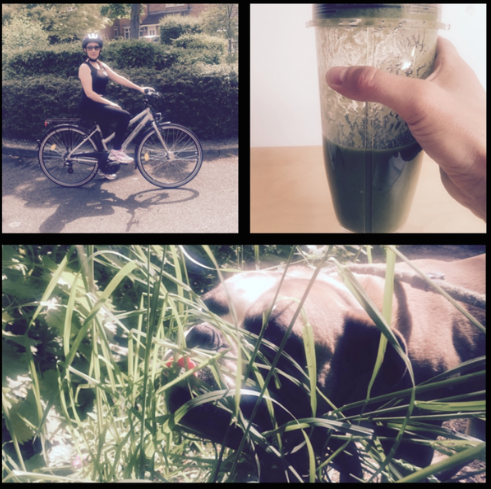 In our household this past week has been all about trying new things – the first new thing is that my wife has started cycling and is getting right into it. She has signed up with me and other members of the Studio to take part in 64 miles of London to Brighton by bike at night part 2. (Part 1 in 2013 is a long story best saved for another day…) Once again we plan to have some tandems on the go in this years ride again– if you want to be involved make sure you let us know so we can give you all the details so that you can get booked up! Last but not least, I had to take a photo of my dog Dozer the other day when we were out on a walk – She decided that she would like to try eating something new – some long grass! After a few bites she got bored though, I think because she saw me drinking something green she thought she would give it a try too!